This November, the students had the chance to attend the seminar U-Create 2018 with special focus on the topic of Art&Value. 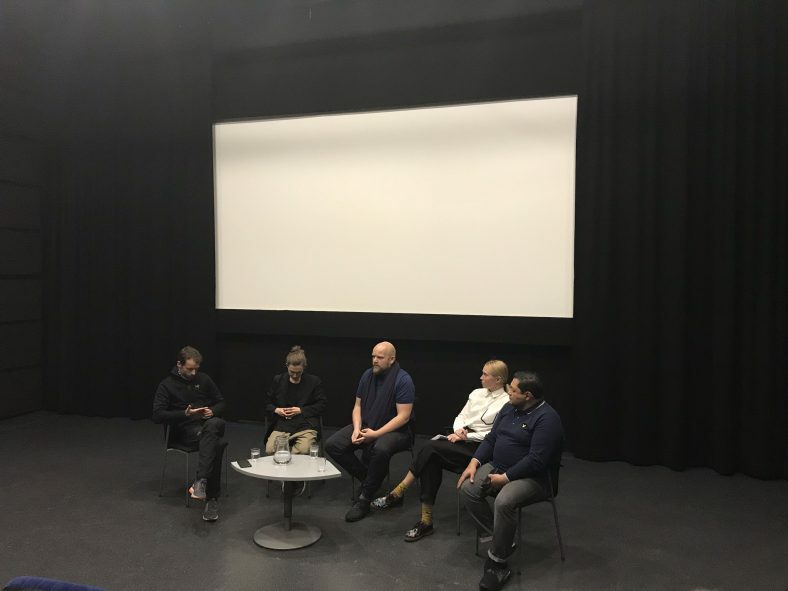 The seminar was organized by Aalto University’s Bassam El Baroni and Juuso Tervo with assistance from Ksenia Kaverina, and was hosted in Maarintie 8, one of the numerous buildings part of the architecturally significant Otaniemi campus. Attendees had the chance of listening to four speakers, each bringing a different take on the issue of Art and Value. Art was discussed as monetary value, symbolic value, well-being value and sustainability value. The seminar closed with a panel discussion on the topic. Paavo Järvensivu (BIOS Research Unit, Helsinki), envisions art as a drive for greater societal change. BIOS research unit studies the effects of environmental and resource factors on Finnish society – on economy, politics, culture – and develops the anticipatory skills of citizens and decision-makers. The inspiring talk started from outlining the critical ecological conditions the world is facing today; it went on by relating this ecological changes to societal changes; and it proposed art as a tool to facilitate the transition from the capitalistic/materialistic society we live in today to the more sustainable economy of the future. Melanie Gilligan (Artist, New York/Stockholm), sees art as a way to raise awareness in relation to the flaws of the current capitalistic economic system; her gut-wrenching yet poetic work functions almost as a bridge in between Everyman and the consciousness of the unsustainability of the contemporary system. Her work awakes deep, unsettling feelings and questions the way our economic system is shaping our behaviour and our attitudes. Diakron (Studio for Transdisciplinary Research, Copenhagen here represented by David Hilmer Rex and Aslak Aamot Kjaerulff)is a platform and studio for transdisciplinary research and practice. During this seminar the public got the chance to listen how Diakron is using art to enhance meaningfulness in the tech working environment. They showcased the project Primer, which is developed together with Aquaporin; they explained how their working-process has shaped both the company and the organiser, and they highlighted the possibilities for a tighter collaboration in between art, technology and business as a drive for change. Mari Männistö (Helsinki Contemporary Gallery, Helsinki)brought to the attention of the public how art can be used as a market-driven developmental and growth element. She explained how the original administrative structure of Helsinki Contemporary Gallery was created in order to favour continuous renewal and innovation in the field. Mari talked about their latest activities in relation to the coming societal changes in general and what those changes could mean for the practicing artist as a professional. What kind of new work relations will the 4th industrial revolution bring? How could the artist’s work evolve in relation to it, in a way that’s economically sustainable for the artist and benefiting to costumers? Sounds interesting? Find more info here! ! Aalto University and the unit of Photography are committed to be at the forefront of innovative and creative research. This entry was posted in Courses & Workshops, Events & Fairs by Aalto Squad Member. Bookmark the permalink.